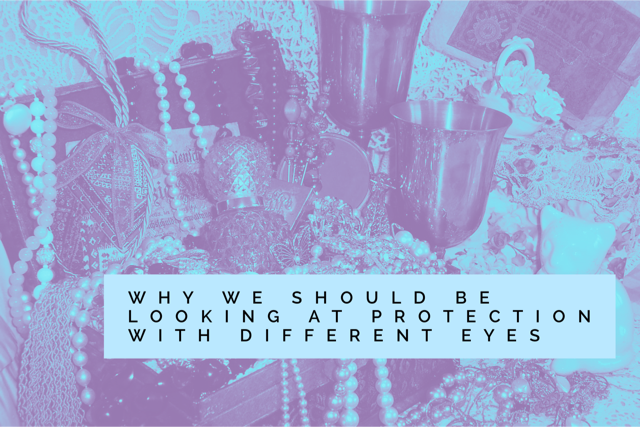 Darren Spriggs, new MD of Pacific Life Re's European business, and opening speaker at the Protection Review Conference 2016, tells us why we should be looking at protection with a fresh pair of eyes. I was asked to do the opening address at the recent Protection Review and when I was thinking about what to say, it struck me that as an industry we have been talking about the same things for what feels like a very long time. Looking back over old industry events and conference agendas the key topics revolve around the challenges we face as an industry. Growth, closing the protection gap, innovation, technology, engaging consumers, simplifying products and processes all seem to be common issues. These are all very valid topics and progress has already been made on some of them, however, the majority of these challenges still remain. Having been a leader of a life insurance company and now having joined Pacific Life Re as Managing Director of the European business unit, I am very aware of the responsibility I have (and indeed we all have) across the industry to look at these challenges again and search for the ‘Eureka’ moment. As an industry we’ve had many success stories and headlines over the past few years, which it’s important we don’t lose sight of. Most importantly, we are paying a record number of claims and this is something that we should be shouting about. According to the ABI, a staggering 97.2% of protection claims were paid in 2015, resulting in a record amount of protection claims being paid (£3.6bn) – the equivalent of £10 million a day. As we already know, consumers aren’t aware of these statistics and can sometimes have a negative perception of the life insurance industry. Our own research found that sadly only 36% of consumers thought that over 50% of protection claims are paid out. Furthermore, only 3% thought that over 90% of claims are paid out. Clearly something needs to be done here to change these perceptions! However, perhaps encouragingly, when we asked consumers why they thought life insurance claims are sometimes declined, the most common response was due to ‘people lying on application forms / giving false information’, rather than insurance companies finding loop holes / not wanting to pay out. There is a positive message here and I believe there is a huge opportunity to communicate claims statistics and success stories to the general public / consumers to help raise their awareness and regain their trust in the life insurance industry. We need to open our eyes to the opportunities that are out there waiting for us. We need policies to be available in the digital / online world and we need policies to be bought in order to pay these record amounts of claims! Thankfully we’re not completely stuck in the dark ages and significant technological advancements have already been made over the past few years. These advancements have made big steps forward for the industry and have enabled protection to be more accessible to consumers. A key example of this is UnderwriteMe, a technology company which is changing the protection market one small step at a time by providing a “click and buy” service with underwritten prices shown by multiple insurers on one system. A large number of UK insurers have already announced their support of the comparison service and we expect this to grow over the coming months. Distribution has also played a key part in providing consumers with easier access to protection. After the banks stopped selling protection so widely, we needed to find other ways to sell policies and as an industry, we have been working to diversify distribution for a while now. But more needs to be done and I believe it is time we step up, open our eyes, and learn from the advances and the challenges that have been experienced in the GI market. Key to making a success of this will be building in the significant progress we have already made in improving our underwriting to make the application process easier. Due to electronic underwriting leading providers now accept 70-80% of applications at point-of-sale. This is a world-leading and can only get better. So, we have made protection more widely available and quicker and easier to buy, but what is next in terms of growing the market, closing the protection gap and addressing the challenges we face? Part of this could be continuing to raise awareness of IP, educate consumers on need for IP and the benefits it provides. The 7 Families initiative was designed to do exactly that. The initiative provided 7 families with income and a support network for a year to demonstrate the benefits of having an IP policy. I was very supportive of this initiative. In my view, it showed creativity in thinking and brought to life the absolute benefits of IP. I’m pleased to see ITV and The Mail on Sunday have reported on this, however, I still believe there is a huge opportunity to illustrate the real benefits to consumers, particularly in a world where only 1 in 5 people have IP (source: Zurich research). Whilst the progress we have made as an industry is good, the opportunities and challenges referenced above continue to dominate my thoughts. My belief is that we must strive to look at these through a fresh pair of eyes to gain a different perspective. It seems we will always have difficulty engaging with consumers, products will always seem confusing, the application process will always appear complex, consumers will always over-estimate the cost of protection and they will always have a lack of trust in insurers, not helped by previous industry issues and negative headlines in the media. As a 40-something male who has worked in our industry now for a number of years, I have some preconceived ideas of life insurance, the need for it, the value of it, etc., and maybe this is part of the problem, maybe we need to invite into the debate people who know nothing about the past, people who are fearless and unencumbered by traditional thought processes and limits. That is why I asked my 3 year old daughter, Ella, for her thoughts. What I found at the end of it is that Protection really could be simpler. Whilst I will refrain from boring you with the precise conversation, Ella grasped the concept of having a ‘treasure chest’ to pay for things in case mummy or daddy couldn’t earn coins. The use of technology and specifically her suggestion of standing in front of your TV for medical screening to complete the application process seemed natural to her. The commoditisation of products was intuitive, with a belief that you would pick up a ‘treasure chest’ whilst out shopping, or from a garage or Doctor’s surgery rather than having to embark upon a lengthy application process. Ella also recognised that these ‘treasure chests’ cost money, and was prepared to sacrifice one drink (a fruit shoot) a week to pay for it. Ella was effectively looking at protection with a fresh pair of eyes, with no baggage from history, no comprehension of constraints and growing up in a world of technology. Ella found it quite amusing that when I was at home in my study I was using a desktop computer, which she described as ‘funny’ and ‘old’ as I am ashamed to say she already has a tablet which she knows how to navigate around better than I do. Whilst of course the musings of a father and daughter’s conversation about products and services she barely understands is unlikely to yield that Eureka moment – it does cause me to reflect. If we continue to seek out different views from different perspectives and look at old challenges through a fresh pair of eyes of the very people that will buy our products in the coming years – then maybe, just maybe, we can meet the challenges we face as an industry head-on with an increased chance of success. I urge you all to channel your inner 3 year-old and think of the challenges we face as an industry through a fresh pair of eyes.